Dogs Help Law Enforcement Keep Our Streets Safe! The Raleigh Kennel Club has a long history of supporting both the Wake County Sheriff's department as well as the Raleigh Police Department K-9 units. RKC members are excited when they visit with us occasionally and are always amazed at the dog’s capabilities and the dedication the law enforcement officers have for the care of the dogs and the close bond the officers build with their working dogs. 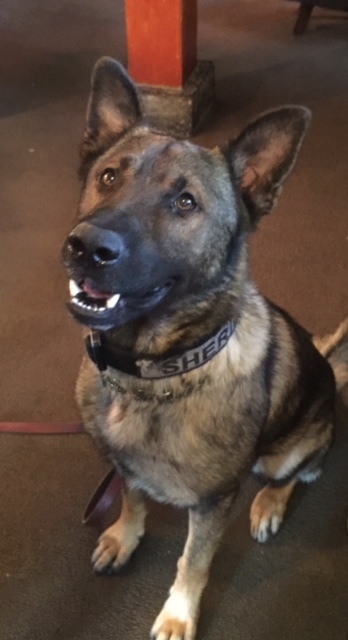 RKC has assisted both the Raleigh Police Department and the Wake County Sheriff Department K-9 units in the purchase of trained K9 officer dogs. These are professional working dogs trained to accommodate varying requirements of law enforcement. These dogs use their keen sense of smell to locate bombs and drugs, and they are trained to attack on command. Each dog lives with an officer’s host family and routinely travels with that officer on patrol. In addition to helping with the purchase of the dogs, RKC assists with many of the dogs veterinary expenses after retirement. The Raleigh Kennel Club supports our law enforcement K9 partners.